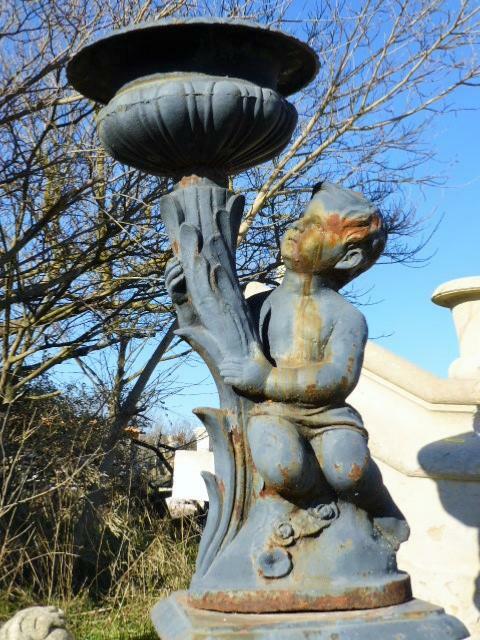 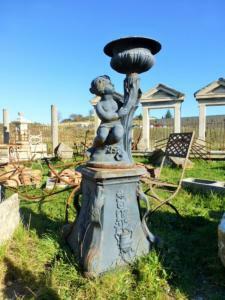 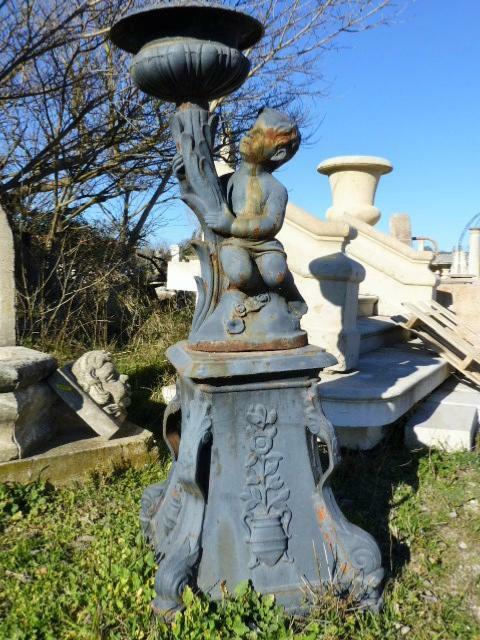 Very nice statues representing a couple of cherubs holding in hands a vase on a decorated base. 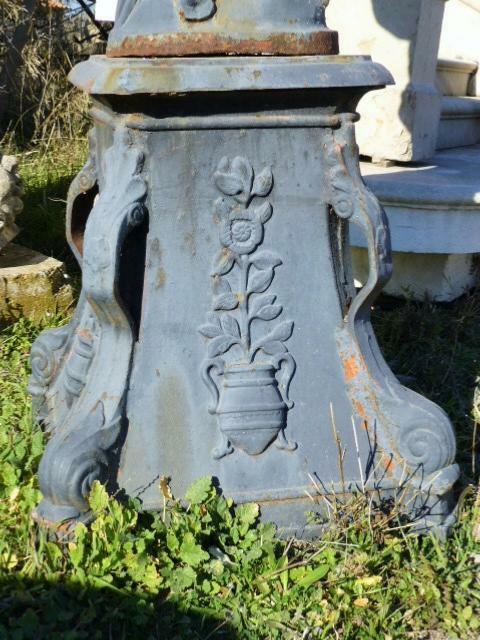 The base is decorated by many floral motives supported by beautiful dolphins head. 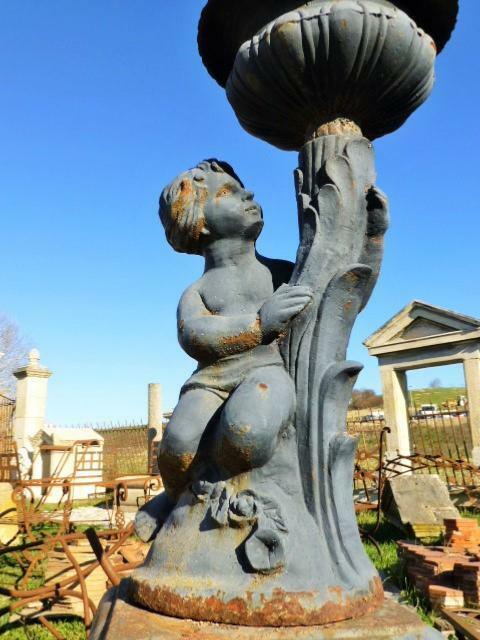 Cherubs are splendidly emphasized by the quality of work and the sharpness of details.